A record 46 million seniors live in the United States today, and older Americans – those age 65 and older – now account for 15% of the U.S. population. By 2050, 22% of Americans will be 65 and older, according to U.S. Census Bureau projections. 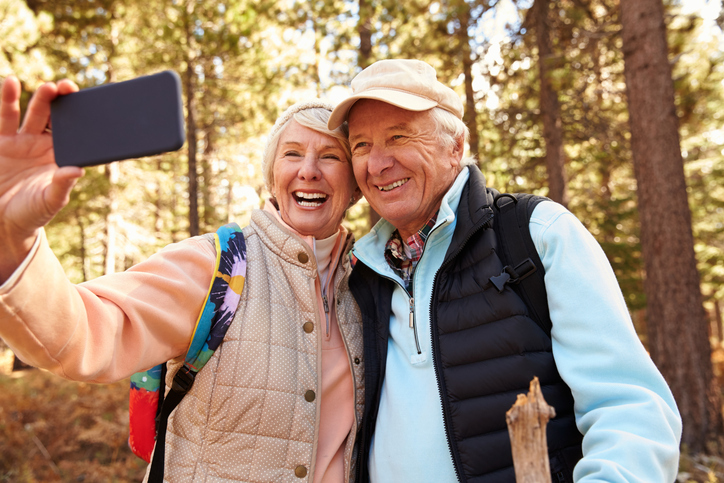 At the same time America is graying, recent Pew Research Center surveys find that seniors are also moving towards more digitally connected lives. 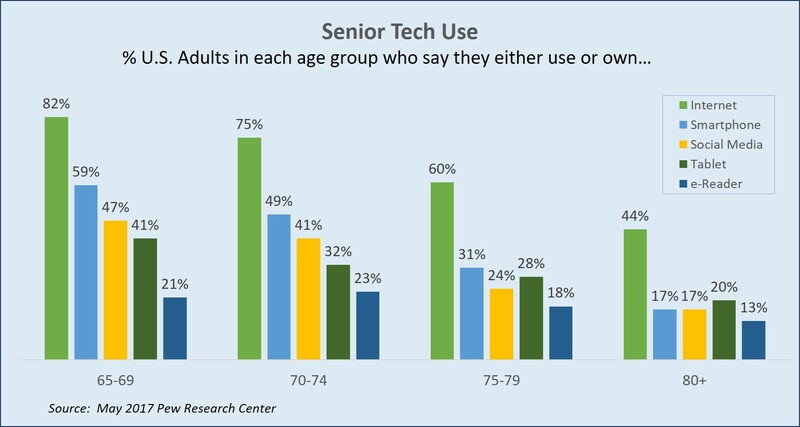 Around four-in-ten (42%) adults ages 65 and older now report owning smartphones, up from 18% in 2013. Today, 67% of seniors use the Internet – a 55% increase in under two decades. While Pew tells us the level of seniors using the Internet, the research doesn’t tell us how they use the Internet and how they use social media. Recently, SJ Insights set up a digital/social media panel of seniors who are currently using Facebook. For the last several years, SJ Insights’ CEO Sheree Johnson has taught Introduction to Social Media (in addition to Social Media Marketing and Google Analytics) as a Continuing Education course at an area college. More often than not, the students in the course are 70+ years old. They are in the course to either learn how to get on Facebook (or sometimes Twitter or Pinterest), or they’re on Facebook and they want to learn how to use it. Often, several of the students had been on Facebook for a couple of years but came to the class to pick up tips on setting up an alumni or club group page, or to make sure privacy settings are in place. They also wanted to expand their social media usage to other platforms, particularly Twitter, Pinterest, or Instagram. So we were curious about diving deeper to understand seniors’ usage and set up a panel to understand all the ways they are using social media, starting with Facebook – what other social media platforms they are using, their thoughts around social media issues, trends, and users. We recruited them from where else? Facebook. We did an initial survey to test their cooperation, their interest, explore issues to pursue further and more – with a total of 75 participants. Using the results from that survey, we are going to fine-tune the questionnaire and roll it out on a broader basis by the end of June. We are keeping room in the survey to add any custom questions (up to five) for any marketer who would like to participate. To help defray the cost of recruitment, there would be a nominal fee for each question, depending on its type/scope. Questions would be kept confidential to the marketer. If interested, contact Sheree at sheree@sjinsights.net for pricing/more information. Marketers purchasing questions would also receive the full report when published.